Ok, so it’s not even a week ago I reached 100 followers and now all of a sudden I’ve got over 200! 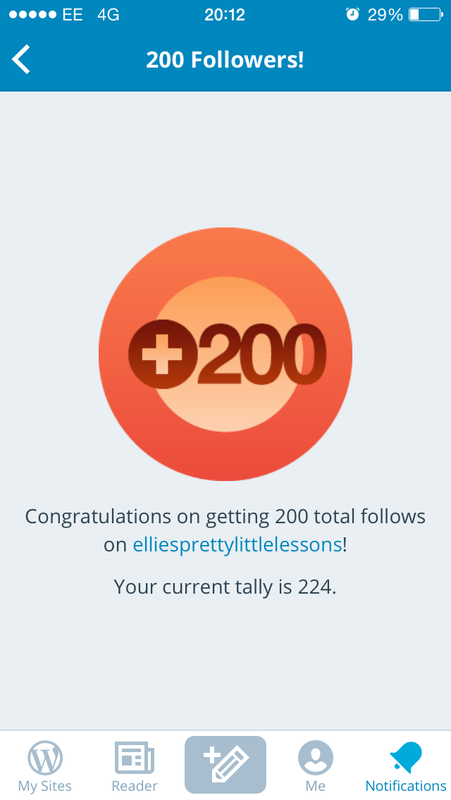 Wow, totally crazy, thank you so much to all my followers who are taking an interest in my blog and think it’s worth following! Congratulations! Im new to your blog also and I LOVE it! !